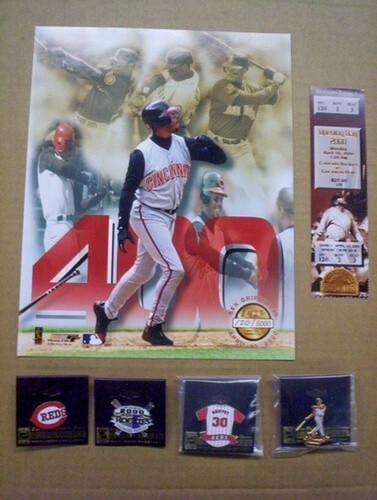 Ken Griffey Jr 400th Home Run Game Lot. Includes Game Ticket, 8x10 Photograph, and 4 assorted Pins. Regular price is $35. Also available with an 11x14 photograph for the same price.